For over 12,000 years human beings have been cultivating the cannabis plant for food, medicine, fiber, fuel, and religious purposes. Cannabis is believed to have first evolved around 20 to 30 million years ago, in the southwestern Himalayas and Central Asia. The earliest written accounts of cannabis originate in ancient China, where the legendary emperor and father of Chinese Medicine, Shen Nung, promoted cannabis as a powerful herbal remedy, and called it the "liberator of sin.” His teachings and other oral traditions were passed down for generations and expanded upon by other healers until cannabis’ use covered over 100 medical conditions, as evidenced in the first Chinese pharmacopeia, Pen-ts’ao Ching. From 1500 to 200 BCE cannabis’ use as a medicine spread across the world, from China to India, Persia, Egypt and Greece. Evidence suggests the plant may have played a vital role in the development of agriculture, which had a profound impact on both human beings and our planet. Cannabis first appeared in the Western Hemisphere during the colonization of the Americas, where its sturdy fibers were used in the production of rope, paper and clothing. By that time, cannabis was widely used as an herbal medicine across the world, and eventually added to the U.S. Pharmacopeia in 1850. Every major pharmacy in America offered medicinal cannabis tinctures until its prohibition began in the 1930s. One of the most unexpected controversies around cannabis concerns its species - experts are divided on whether there is only one species of cannabis, or whether there are several distinct species. The most widely accepted description of the cannabis plant breaks it down into three subspecies: Cannabis Sativa, Cannabis Indica, and Cannabis Ruderalis. These descriptions have been embraced by the cannabis community who commonly distinguish "sativa" strains from "indica" strains based on the perceived differences of effects. Most strains today are hybrids, a result of crossbreeding sativa and indica strains together, the primary effects of which are determined by the most dominant strain. Tall and open branched with narrow, spindly leaflets. Effect: Broadly categorized as having stimulating, expansive mind-altering effects. Shorter, bushier and conical in shape, with relatively wide leaflets. Effect: Indica strains are known for their sedating, mellow body effects. Short, branchless, and grows wild in parts of Europe and central Asia. Grows between 1 and 2.5 ft. In the late 1980s researcher Allyn Howlett discovered a receptor in the brain that the cannabinoid THC binds to. Another primary receptor was identified and the pair became known as CB1 and CB2. 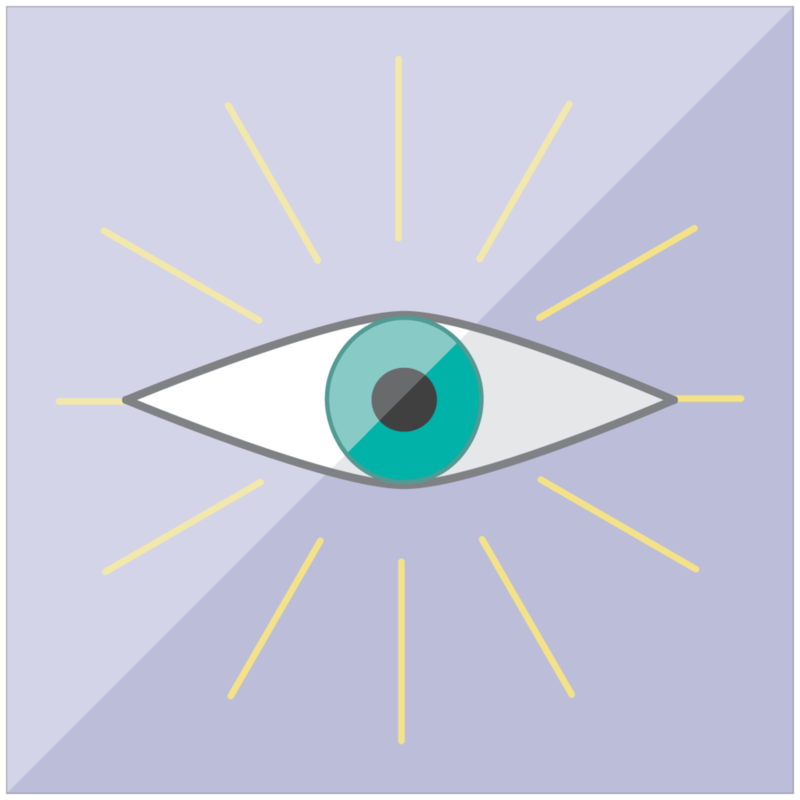 CB1 receptors can be found in abundance in the brain, nervous system, glands and organs, while CB2 receptors are found in the immune system. CB1 receptors are primarily stimulated by cannabinoids like THC, and are responsible for effects on memory, mood, sleep, appetite and pain sensation. 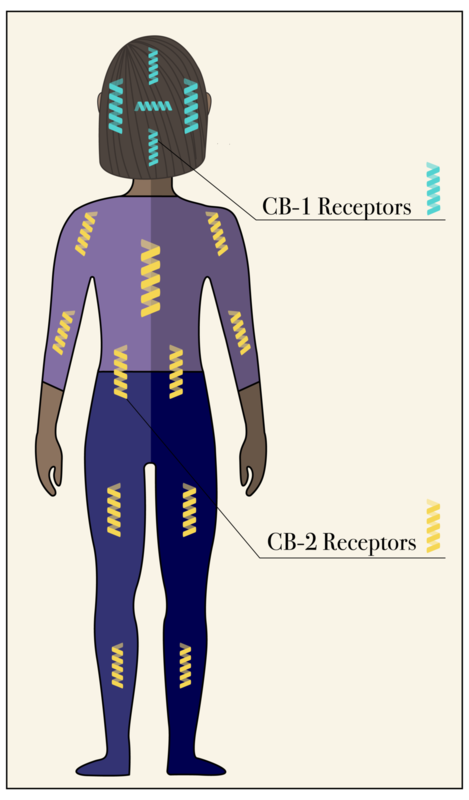 CB2 receptors appear to be activated by cannabinoids like CBD (and THC to a lesser degree) and work to reduce inflammation and immune response. In 1990, Israeli cannabis researcher Raphael Mechoulam discovered what became known as the Endocannabinoid System (ECS), a biological regulatory system that promotes balance and well-being in all mammals. Not only did it explain how cannabinoids work with the body’s receptors, the system was discovered to have involvement in numerous, vital physiological functions- including its ability to directly affect our body’s response to injuries and inflammations. This profound discovery could be called one of the twenty first century’s greatest scientific breakthroughs, and it ushered in a flurry of studies. In fact, there are now over 22,000 published studies or reviews in scientific literature pertaining to the cannabis plant and its cannabinoids - nearly half of which were published in the last ten years. The ECS is always at work. The receptors are activated either by the body’s own endogenous (internal) cannabinoids, or by plant cannabinoids (also called phytocannabinoids) like THC and CBD. The cannabinoids and receptor mechanism is often described as a lock and key system. When the ECS is working properly, signals are firing and optimal functioning is happening in the body. When the endocannabinoid system is not functioning properly, phytocannabinoids can be introduced, plug in to the receptors, and switch the ECS on to do its job. The better the ECS is working, the more our bodies are in equilibrium, and the less likely we are to develop disease. Of the 400+ identifiable chemicals known to exist in the plant, and at least 85 different cannabinoids, only THC has been found to be psychoactive. Remarkably, this makes cannabis one of a handful of plants with the power to affect human consciousness. Since ancient times, shamans (spiritual healers) from a diverse array of cultures around the world have used cannabis in their work. From the Scythians to the Rastafari, the alchemists to the Curanderos, cannabis has found a place in healing traditions across the world.